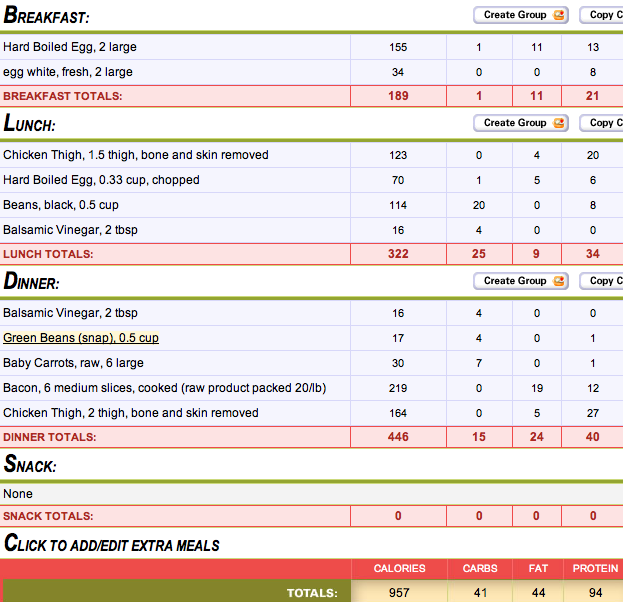 As I’ve stated previously, losing body fat has been the goal of this diet. But why? And how much? 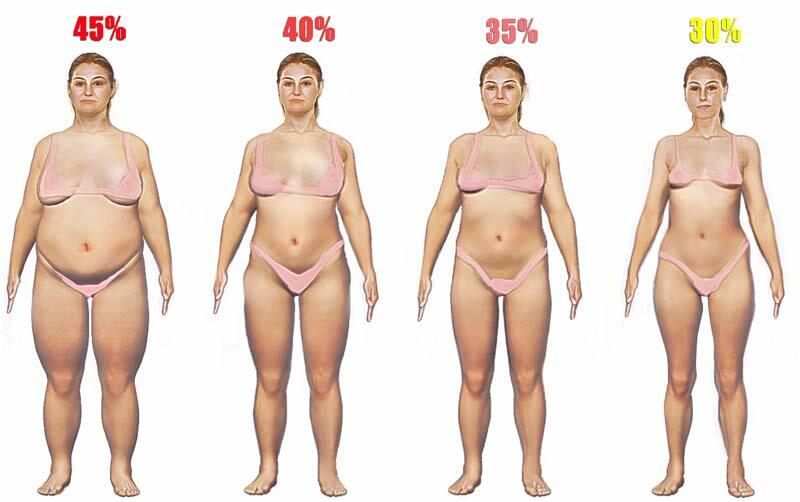 What does body fat look like? First off, I started at 35.22% body fat, and I am now at 29.14%. Losing body fat is slow. It measures how fit one is, and how much muscle vs fat there is on one’s body. While BMI suggests whether or not I’m “overweight” according to guesstimating governmental officials, measuring body fat is far more accurate. Thankfully, it doesn’t take too much more effort than weighing myself; I just need to have the patience to measure my extremities. Where do you fall? My goal is 18-20% body fat. 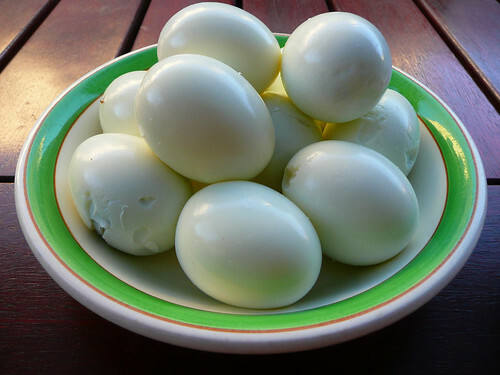 Two hard boiled eggs, two egg whites (Breakfast). 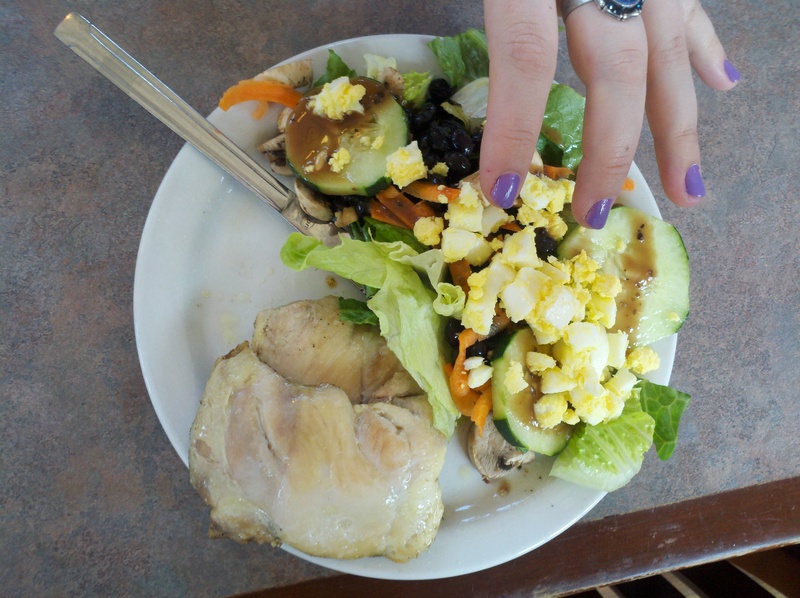 My friend grabbing at my delicious salad and two chicken thighs (Dinner). 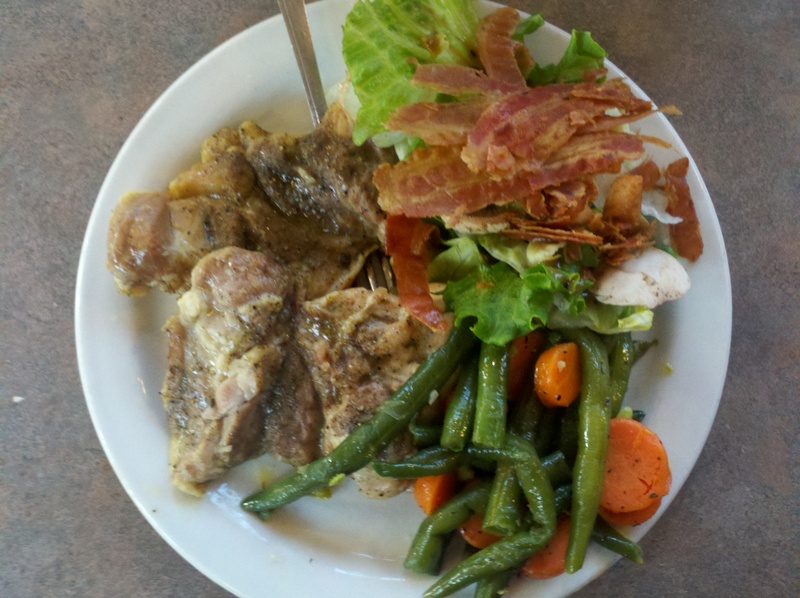 Bacon, carrots, beans, two chicken thighs, and salad (Dinner). After going a little crazy last night, I enjoyed sleeping in, sketching, and basking in the gorgeous Atlanta weather this fine Sunday. In terms of food, today was somewhat average (besides eating later than normal). Actually, that’s not entirely true; I went out to eat for the first day on a non-cheat day since starting the diet. We went to Los Bravos in Decatur. The food was meh; I’m definitely ordering a fajita instead of a $6 taco salad without cheese, sour cream, guacamole, or taco. Either way, the outing proves that it’s possible, albeit difficult, to eat out while on this diet. 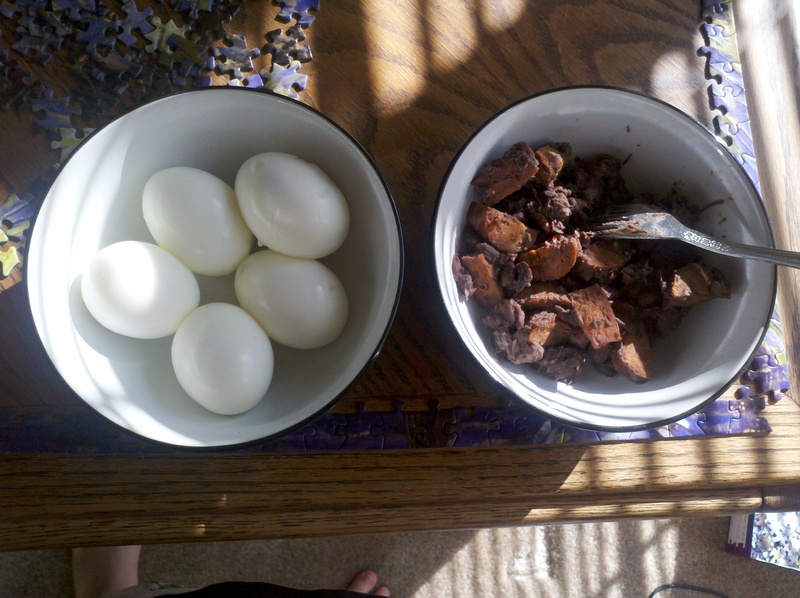 Three eggs (two full), turkey sausage, and black beans (Breakfast). 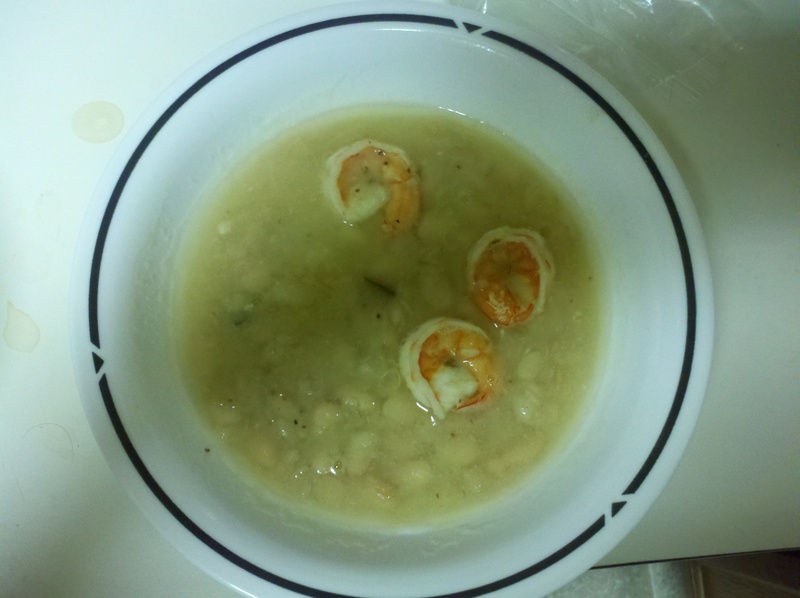 Leftover faux potato and shrimp soup (Lunch). 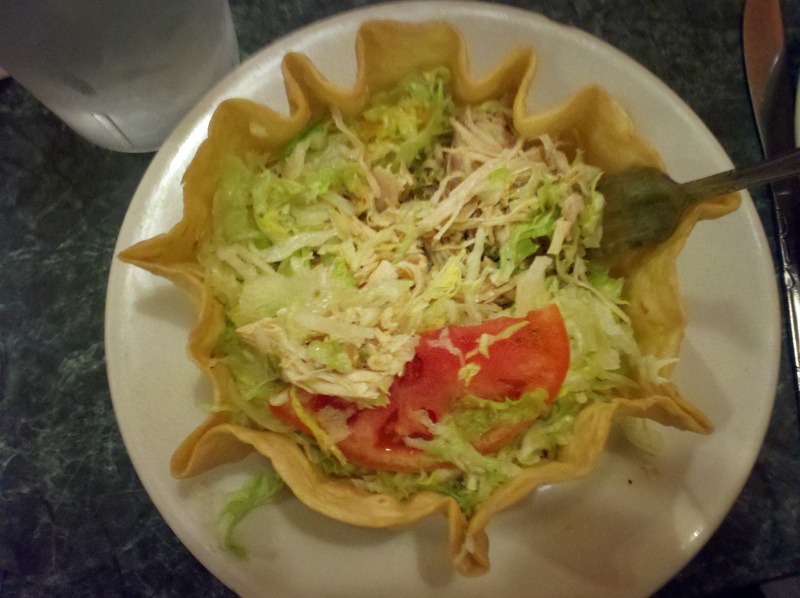 Los Bravos taco salad--NO, I did NOT eat the taco bowl (Dinner). In other news, I learned that one shouldn’t lose more than 1% of their weight per week (so, for example, I weigh 131.6 pounds, so the most I should be losing per week is 1.316lbs). That makes me feel better, as I’m not losing weight as quickly as everyone else seems to be. 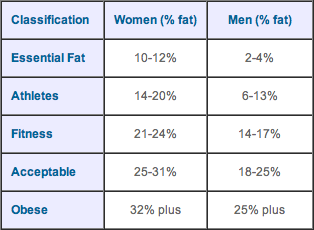 I also put it together that you can easily calculate the physical pounds of fat I have extra from my body fat % (how had I not realized this before??). So, 131.6 x my body fat (30.94%) = 40.717lbs of fat. 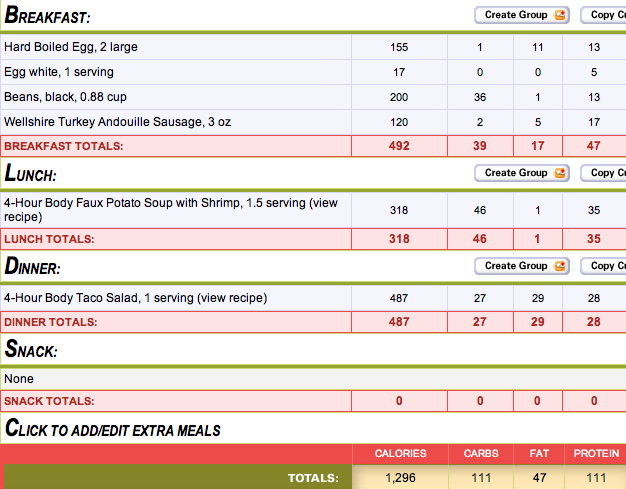 Since I’m aiming to be 18% body fat, I’m going to have to lose 17.029 pounds of pure fat. Yuck!